Here at OctoTowers we all love a great testimonial. When one drops into our inbox or gets posted on one of our social network pages we then know we’ve done everything we can (and hopefully that little bit more!) to hit our clients remit. Our ethos is to be’ attentive throughout’ and this amazing testimonial we have received really made our day. “Octopoda was recommended to us. From the outset, they made us feel like we were the only people on their books. Their personal, attentive ‘no problem’ service took away the vast time it takes to trawl through accommodation, transfers and flights. We were given a portfolio of places to choose from which matched our requirements. 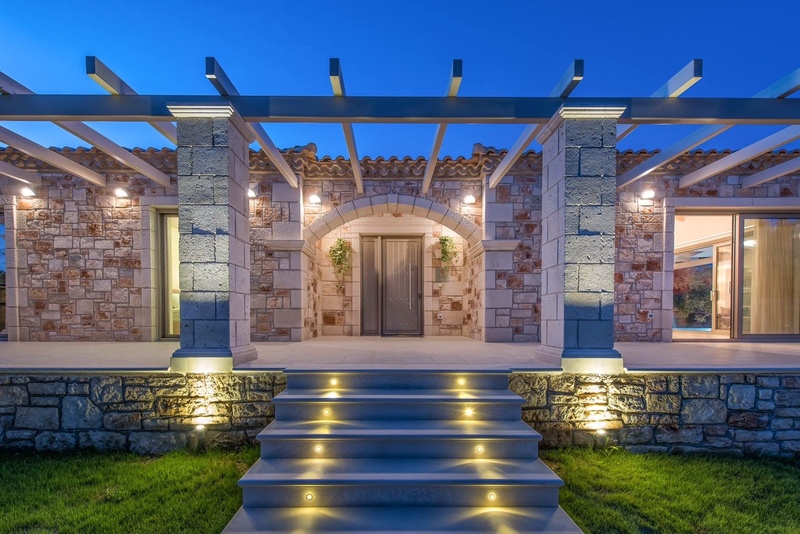 We chose Villa Avra, Limni Keri , Zakynthos. It appeared to hit everything on our brief. Wow – it delivered! All our travel arrangements ran smoothly. We just had to pack as Octopoda did absolutely everything else. From the moment we drove through the private gates and past an abundance of olive trees, we felt we were arriving somewhere special. The owners of the villa greeted us with big smiles. 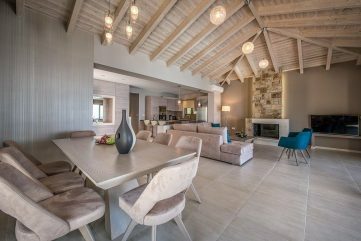 We entered the luxurious, contemporary newly built villa that is designed to capture the phenomenal view. We were left speechless at the impact. The fridge was the welcome pack. The table was laden with fresh fruit. Candles were lit and there was welcoming champagne on ice. The place was immaculately clean. Every fine detail thought of to guarantee a luxurious stay. 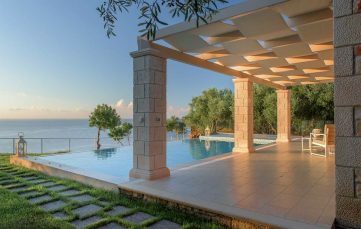 Outside the pool is inviting in the heat, the hammocks between olive trees calming and the barbeque area decadent. I cannot recommend this special villa enough. 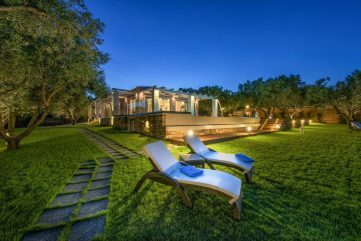 It is romantic, quiet and has a view that sincerely helps you to release any stress you may be carrying. It is perfect for couples young and older. And if you want to honeymoon or, you have a special anniversary or birthday then this would be perfect. Octopoda was on hand throughout our stay as were the owners. This meant all we had to do was enjoy ourselves. I have never experienced such a high level of service before on any holiday. Our flight back to Britain was delayed. Octopoda handled all the re-arranging of things for us. On return, we have received a follow-on service to ensure we feel cared for.